Icy ground and snow can be extremely hazardous for cyclists so changing to winter tyres can allow you to enjoy your sport or continue to cycle to and from work. The Sportsphysio.com is keen to ensure cyclists stay safe this winter and there are many products on the market now which allow us to carry on our normal activity with a little more confidence in icy weather. Ice and snow grip overshoes provide those on foot with extra traction and this technology is also available to cyclists. We have selected the Schwalbe ice and snow tyre range in conjuction with a major cycle equipment supplier to help our cyclists stay on two wheels this winter. With the Ice Spiker Kevlar rigid tyre you’re properly prepared for the extreme Winter riding. 304 specially long spikes offer maximum purchase on snow and ice. The Ice Spiker Pro Performance Folding MTB Tyre has 361 spikes. Again, this Kevlar tyre bites firmly into icy roads. The tungsten carbide core of each spike is clad in weight-saving aluminium. The scales stop at 695g, yet the tyre remains agile and sporty for extreme winter cycling. Schwalbe Snow Stud Performance Kevlar Rigid MTB Tyres are suitable for extreme weather use when ice is a possibility! For many of us who live in more temperate regions, the likelihood of a midday thaw followed by an overnight freeze means that ice may be frequently encountered. Whether off-road or on-road this is where studs come into their own. They are not failsafe, and you still need to treat ice with due respect, but studs do offer a big improvement in control to the extent that you can easily be lulled into a false sense of security, only to slip straight onto your backside soon after stepping off the bike. Studs are available as off-road tyres with wide spaced lugs, or on road tyres with a much closer spaced tread. It should be noted that compared to regular tyres, there is increased rolling resistance (making pedalling harder), and the studs can be pretty noisy on bare roads. In climates where snow and ice persist through the winter, riders would tend to use studs or spikes throughout the season, whereas in regions such as the UK where ice is a more sporadic event, a quick change of tyres or even better a spare set of wheels made up ready seems to be the more efficient approach. In some countries spiked car tyres are illegal, because they damage the road surface. Bicycle tyre spikes are not a problem. The spikes work best on ice when running at minimum pressure, whilst at maximum pressure the tyres can be ridden on ice-free roads with minimal road noise. In order to ensure that spikes are permanently fixed, tyres should be run in for about 40km on asphalt, while avoiding any fast acceleration or heavy braking. These tyres are for mountain bikes and intended primarily for off road use, the knobbly patterns provide grip when steering and traction when applying power to the pedals. There is usually a tyre to suit the conditions in which you are riding, so the right choice is important. On dry days a narrow tyre with a smoother central tread can be used, but on a wet day a wider tyre with a deeper knobbly tread pattern is essential or you could be the one in contact with the mud. For over 70 years Schwalbe have dominated the two wheeled tyre industry in Germany and Europe, being voted best MTB tyre brand in Germany for the past two years. Schwalbe have continued to design and manufacture some of the finest bicycle tyres available. Schwalbe’s success is due in part to the effort it makes in product development from lab tests at the manufacturing facility to the hardest proving grounds of all, professional cycle racing. ‘Team Gerolsteiner’ achieved a very creditable 7th place overall in the 2004 Tour de France and the unique performance of team captain Davide Rebellin winning three major classic races back to back using Schwalbe tyre. Other notable succeses include Normann Stadler winning the infamous Ironman triathlon in Hawaii, riding Schwalbe Stelvio tyres. View or purchase the full range of Schwalbe winter cycle tyres. These incredibly useful ice grips make all the difference between carrying on as normal or being a slave to the British weather. whilst others involved major surgery and permanent disability. We obtained our ice grippers a couple of years ago and have been singing their praises ever since, but by the time snow and ice arrived in November last year, many places sold out within a week or two. This year, we are reminding people to get their orders in now, as many manufacturers and retailers are expecting another hard winter and high demand. You can carry on with your outdoor activity, shopping and walking the dogs with much more confidence. 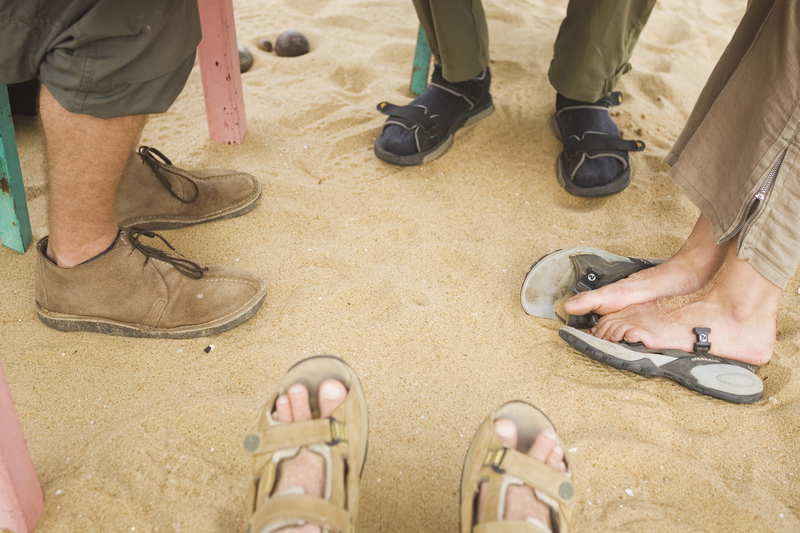 A simple but strong rubber overshoe stretches around the sole of your shoe or boot. This device has small tungsten carbide spikes embedded in the forefoot and heel region which grab into the snow and ice allowing us to walk about as if the surface was dry. There are many types on the market, some with a coiled spring under the sole and some with spikes. After testing these, we have to say that in our region where black ice and snow are regularly present together, the spike variety offers the best traction on both surfaces. The ease with which they can be used also means that they can be easily removed when entering shops and buildings where the spikes would damage the floor. The Sportsphysio.com is now offering Due North Traction Aids ice and snow grips by secure online order via our affiliation with a major reputable outdoor gear supplier. 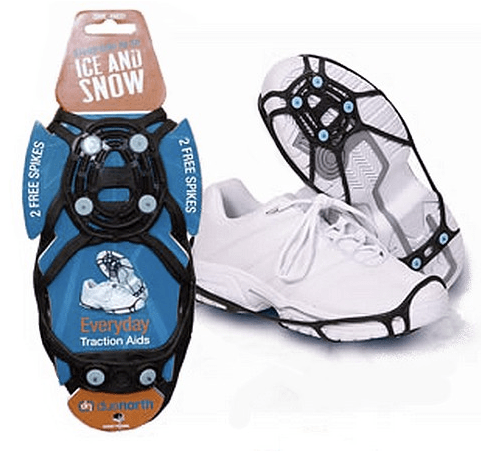 These simple to fit ice and snow overshoes provide instant grip to any footwear in ice and snow. (Must have a reasonably wide, low heel to work effectively). 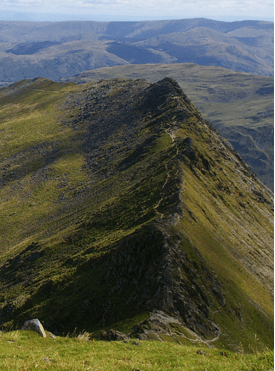 We chose the Due North range because they are simple to use at a very reasonable price. They are also the only range we have found to date that offer spare replacement tungsten carbide spikes should you lose or damage one. Our Carlisle Sportsphysio practice provides care for professional and amateur sports people alike. We have over ten years experience with many sporting diciplines; Motorsport, rugby, martial arts and climbers to name but a few. From Olympic level athletes to the weekend amateur. Regardless of the reason for your visit, you are assured of our high level of professionalism and expertise.